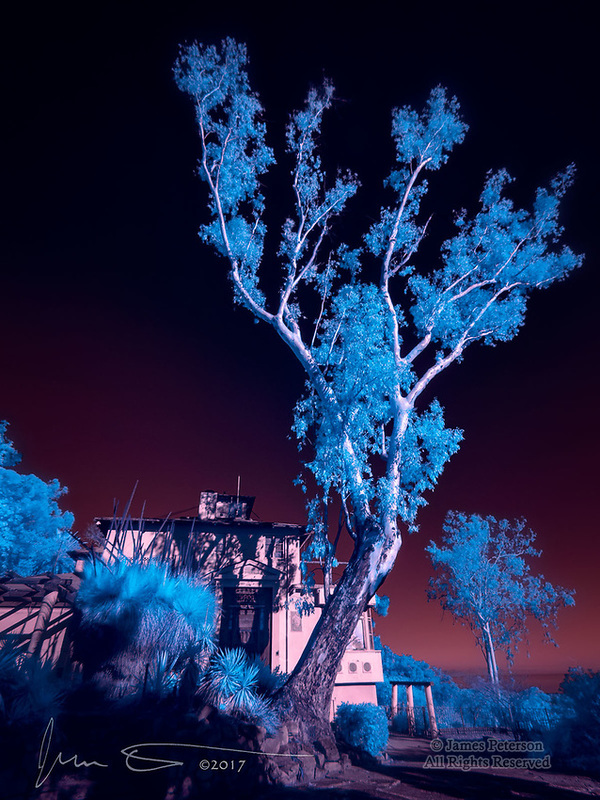 Franceschi Mansion, Santa Barbara, California (Infrared) ©2017 James D Peterson. This crumbling but much-beloved historic landmark was once home to one of the area’s most prominent immigrant families, and the grounds were known as one of the finest gardens in California. Built in 1893 by Francesco Franceschi, a 19th-Century Italian immigrant and renowned horticulturalist, it was formerly named Montarioso. In Franceschi's memory, a subsequent owner deeded the estate to the City of Santa Barbara in 1931, and they have been the custodian ever since. Sadly, they have let it decay and, ignoring a local grass roots movement to restore it, have scheduled it for demolition.